It’s always a pleasure to receive technical questions about our audio production here at RPC Audio. Lots of you have been asking about which processing plugins we use. The Waves plugs are pretty much industry standard, and over the last few years have become very affordable. They’ll sit nicely in most DAWs from Cooledit and Audition to Pro Tools. The main purpose of using plugins is for control. (Levels and getting everything to play nicely in the mix). 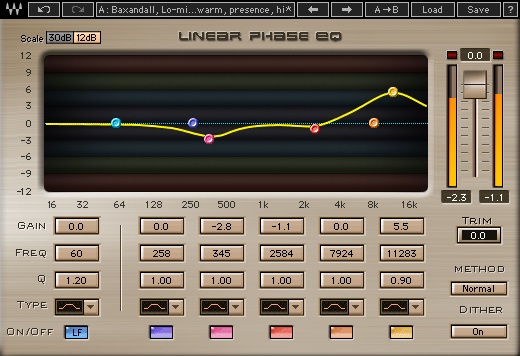 For voice EQ I prefer the Waves Linear EQ Broadband plug. 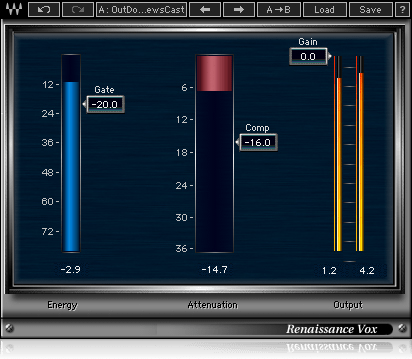 Maybe a controversial choice as it’s primarily a mastering plug but I love the open sound it gives and just prefer the sound to that of the REQ and Paragraphic EQ. For voice processing my best friend is RVox. Easy to use, does the job and gets everything nicely under control. I may add an L1 after it if I feel I need to crank it up a bit. 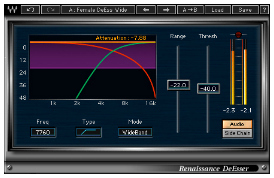 RDeEsser is another essential plug that works very well, especially on female vocals. I like to finish everything of with a touch of RComp which, used with a light touch, I find great as a mastering processor. 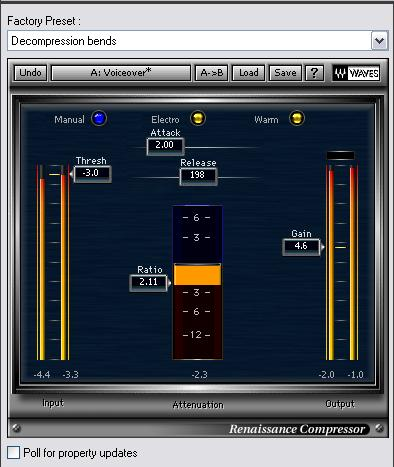 These are the settings I like to use on the mastering bus and aim for around 3db of gain reduction, using the gain slider to just tickle the limiter on the peaks. These are the main plugs I use every single day on the majority of jobs.